Swamp Rabbit Cafe and Grocery is celebrating Spring with a DJ dance party! 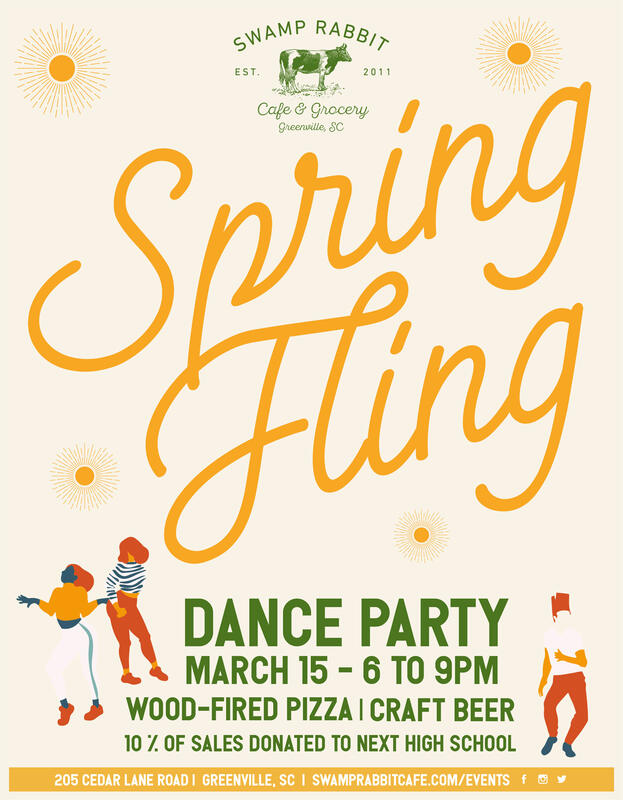 Join us for wood-fired pizza, craft beer, and dancing. 10% of event sales will be donated to NEXT High School.